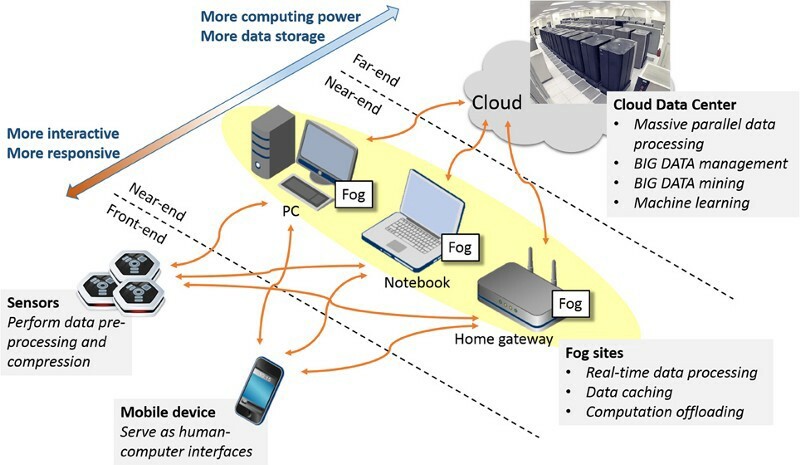 With rates of data generation, transmission, analysis only skyrocketing, let's see what that means for the IoT by examining fog computing's role in edge device networks. Edge computing is hot right now. The growing maturity of IoT networks ranging from industrial to VR applications means that there’s an enormous amount of discussion around moving from the cloud to the edge (from us as well). But edge computing is only the first step. We first want to makes sure we define the terms we’ll use. The edge refers to the devices, sensors, or other sources of data at the edge of the network. The cloud is the datacenter at the “center” of the network. The fog is a management layer in between the two (we know this is vague, read on). As more and more devices become connected to networks, we’re going to see an enormous uptick in the amount of data generated. Andy Daecher and Robert Schmid of Deloitte believe that “globally, the data created by IoT devices in 2019 will be 269 times greater than the data being transmitted to data centers from end-user devices and 49 times higher than total data center traffic.” Calling this Big Data is an understatement. The answer to increasing data volume is the fog: The prioritization and management layer on the continuum between the edge and the cloud. The fog needs to answer the crucial decision: What to analyze at the end, and what to push back to the cloud? It’s unreasonable to expect an IoT sensor at the edge (like a drone that requires sub-millisecond reaction times) to process all the data it collects in realtime or push that data all the way to the cloud for processing. The fog reduces latency and takes the processing load off the drone, acting as a management layer and allowing for efficient distribution of resources across the network. What Does a Cloud/Fog/Ege Architecture Look Like? Intelligently separating data analysis tasks across the network continuum will be crucial as we move forward into the next era of IoT. This article originally appeared on the Fanout blog. Published at DZone with permission of Daniel Kadvany , DZone MVB. See the original article here.